Kathryn Ledson is the author of three titles in the fun to read Erica Jewel mysteries. 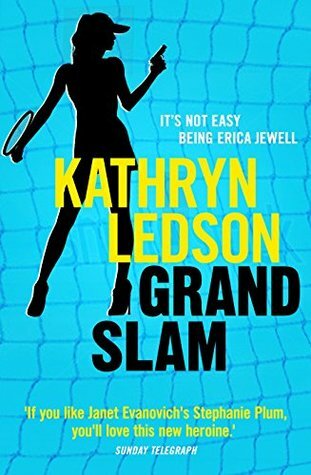 (In my opinion Grand Slam is just perfect – love the plotting, the characters, the fun), it made laugh out loud. In 2005 Kathryn took a deep breath and left her 25+ year career in the corporate arena, returning to study with relief and a great sense of homecoming. What emerged from that professional writing and editing course was a huge surprise in the form of hapless heroine Erica Jewell, lead character in Kathryn’s series of funny, romantic, action-packed novels, which so far includes Rough Diamond, Monkey Business and the recently released Grand Slam. Welcome to my blog Kathryn. Let talk childhood. What aspirations did you have as a child? Prince Charming, The Silver Brumby and Gilligan. More recent heroes? My husband Paul. And my Dad. Until the day he died, just a few months ago. Let’s talk writing. How long has the road to becoming a successful writer been for you? I’m not sure “successful” is the right word. I mean, the reason we can afford to eat is because my hubs works like a dog. But the road to getting from there to here has been relatively short, in fact (compared to other writers’ stories I’ve heard). There were some pot holes, however I think I’ve been very lucky. I reckon life throws at you only what you can handle, and if I’d had too many rejections, where others persist I would have given up long ago and gone to work at the local IGA. But I digress. I started writing Rough Diamond at the end of 2008 – having just completed a Diploma in Professional Writing and Editing that included know how-to-write-a-novel classes – submitted it to Penguin in January 2011 and it was published two years later. I think they thought it was rubbish at first, but that the “voice” of Erica was fresh. My gorgeous editor took a chance she could coach me into producing something worth reading. Do you have an agent? How did you get the attention of a publisher? Yes, I do. Having an agent is very helpful in getting your manuscript before an editor. Mind you, getting an agent is sometimes more difficult than getting a publisher. That said, I managed to get a meeting with Penguin without help, having written a thoroughly proof-read (by writer friends) proposal, and between setting up the meeting and attending it, I signed with an agent. I think it was having that planned Penguin meeting that won me an agent, and it was in turn having an agent that got Rough Diamond over the line with Penguin. It’s all very tricky business, and helpful to know how things work. Networking is the most useful thing a budding author can do if they want to be traditionally published. What do you love about writing- it is so obvious to me you love what you are doing. I ADORE what I do and I laugh my head off all the time. Erica constantly surprises me. She comes up with these fabulous lines and just feeds them to me from God-knows-where. When writers talk about having a muse, I think Erica must be mine. I do hate to be interrupted when I’m writing and I’m furious with anyone or thing that stops me. For example, my need to eat, and hang out the washing. The toilet that must be cleaned because some rude person wants to visit. And this – at 4.30 every day, my dog Ella sits by the fridge and barks at me. I tell her, “Hold on, I’m writing a crucial scene. Erica’s got a gun to her head!” Ella will give me exactly 10 seconds to wind it up before she starts her very loud I-want-my-dinner nonsense. It’s very irritating (but she’s so cute). Let’s talk books and influences. Who is your favourite author? Do you have a favourite book? There are SOOOO many authors and books I love it’s almost impossible to pick just one. But I’ll say that when I read The Fountainhead by Ayn Rand, I was moved by that story and her writing in a way that I’ve never been before or since. I then read Atlas Shrugged, which had the same effect on me. Although I later researched Ayn Rand and discovered I didn’t like her much, which was disappointing. Let’s talk about life. What lessons did you learn from working in the corporate world? I learned not to work in the corporate world. I’d rather clean toilets. Maybe not that. But I’d definitely weed gardens instead. The pressure on corporate people to perform is so intense, I’m sure if I’d stayed I would have developed some horrible stress-induced disease and dropped dead by now. Let’s talk about the characters in your Erica Jewel series? Who inspired Erica? Lets’ talk about dogs. What sort of a dog do you have? We know Erica has a cat – is a dog ever going to feature in your books? Last question – I know I can’t count! Carol, thanks so much for inviting me to your blog! This has been great fun and I’ve learned a few things about myself along the way. I’d be happy to take questions from your readers about writing, the publishing industry, whatever they’re curious about. Please insert links to your social media sites her Kathryn. 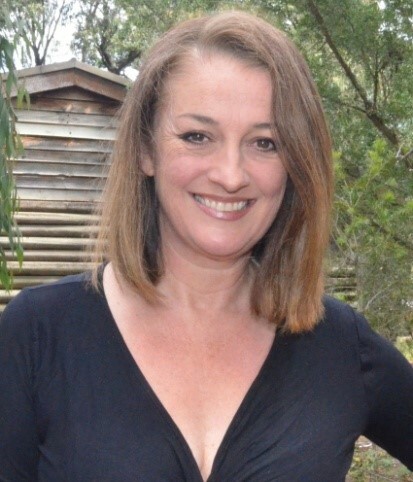 This entry was posted in Comedy, Crime Fiction, Interviews, Post Script: Book Reviews, Writing and tagged Aussie Author Challenge 2016, Australian Women Writers Challenge 2016, Erica Jewel Mysteries, Kathyrn Ledson. Bookmark the permalink. I really enjoy learning about new-to-me authors. Thanks, both! And, anyone who likes dogs is a friend, as far as I’m concerned. Wishing you much success! Can’t wait to read about how Erica takes on New York with her gorgeous Jack! I think her mum definitely needs to go for the trip. Helene, I can’t wait to see what Erica’s mum gets up to. Surely she’ll want to do every touristy thing on the list?